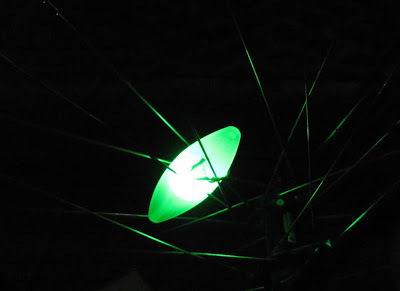 Lights in the spokes of my bike for safety and festivity. Biking around town slow enough to appreciate the color. 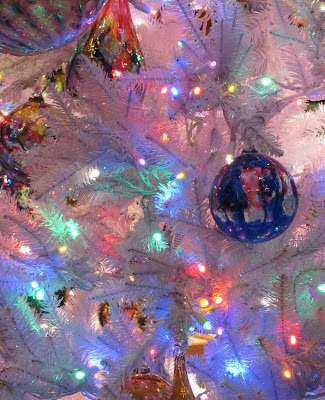 Closeup of storefront Christmas tree in Fairhaven district.